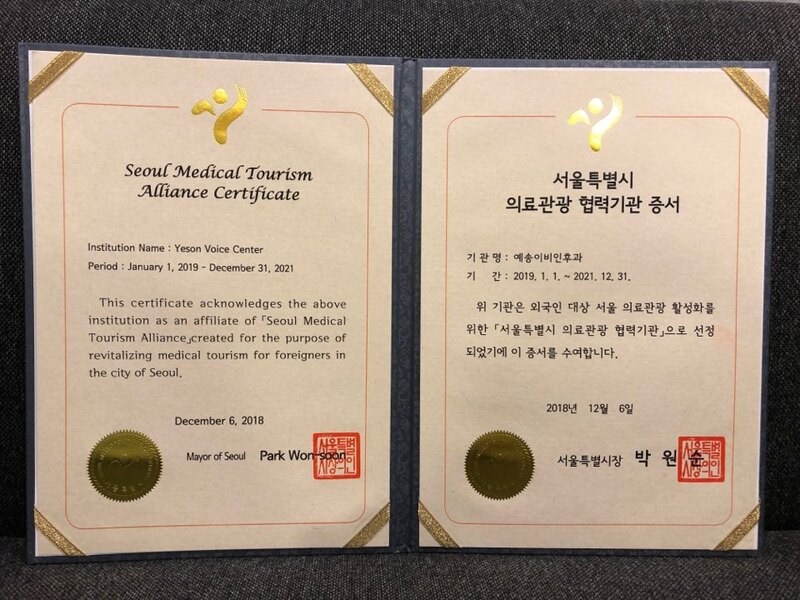 Yeson Voice Center was entrusted as a Medical Tourism Partner of Seoul province 2019. Medical Tourism Association of Seoul province is boosting the development of medical tourism society by selecting entrusted medical associations for the co-marketing overseas. Yeson Voice Center scored high in the areas of medical process criteria such as the well-prepared medical data and forms in multiple languages at the same time having multilingual staff standby for promoting patients overseas.